A single tooth implant is ideal for replacing a missing tooth that you lost due to decay or from an accident. 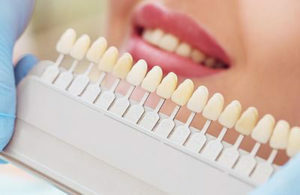 Your implant dentist in Brooklyn offers everyone in your family, from your athletic teenager to an aging parent, a number of implant options for the best dental care in the city. We use only the best quality medical grade titanium or titanium alloy for dental implants. Come to our cosmetic dental clinic to receive the most efficient, functional, and highly esthetic results. 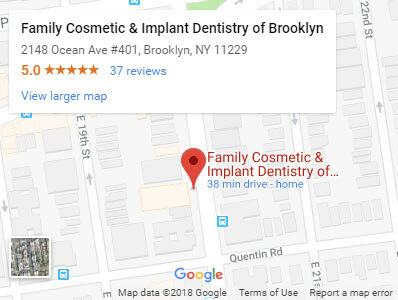 Meet our family, cosmetic dentists in Brooklyn Alex and Igor Khabensky DDS to get the fastest & painless dental implant treatments in the safe, reassuring hands of the best rated dentist in Brooklyn. If you’re only missing one tooth, then a single tooth implant may be the perfect solution for you. There are actually several advantages to dental implants as opposed to other tooth replacement treatments. A single tooth implant looks and functions just like your own natural tooth. But unlike dental bridges, your Brooklyn cosmetic dentist can replace a single tooth without damaging any surrounding teeth. 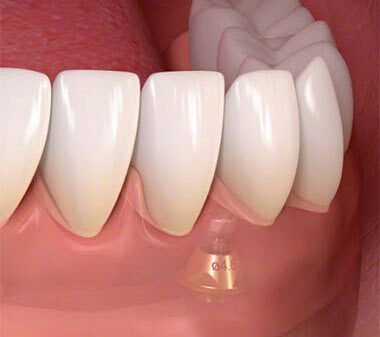 The implant replaces the root of your tooth and anchors directly into your jawbone. This means your bone is left intact and has significantly less chance of receding or eroding, which helps to slow, or in some cases prevent, tooth deterioration altogether. When you have a bridge, the bone that normally surrounds and protects your tooth begins to reabsorb or deteriorate. It’s because the bone that held the tooth’s root now has nothing to hold onto. It’s even possible for your gums to begin receding around your bridge. If this happens to you, your bridge becomes less and less stable. A bridge does nothing to support your bone or gums. Bone that’s being reabsorbed beneath a bridge can spell disaster for your smile. And the cement can easily lose its hold and be washed out, allowing bacteria and decay to attack your teeth. Having to constantly worry about repairs on your bridge also can be stressful. When it comes to more permanent solutions, like a single tooth implant, there’s a family dentist in Brooklyn you can trust. 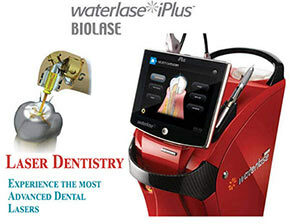 From the time of your first x-ray, only cutting-edge technology is used by the leading Brooklyn cosmetic dentist. Professional dental implants are a multi-step process. Even your single tooth implant is custom- designed, created and fit to ensure one-of-a-kind comfort and a natural appearance. There’s a possibility that your bone or gum have deteriorated to the point that you require a bone graft or a gum graft. You must have enough bone and tissue for the implant to imbed. If you’re missing one of your upper molars and there’s any chance of damage or penetration to your sinus cavity, you may need a sinus lift. Also known as a sinus augmentation, this procedure ensures that your sinus cavity remains unaffected by adding bone as needed for your implant. The implant itself typically is crafted from titanium and resembles a small screw or cylinder. It’s secured into your jawbone to replicate the root of your natural tooth. It takes about six months for the implant to heal and bond with your bone to form an anchor for your implant crown. Once your bone and gums have had the chance to properly heal, your crown seals the deal. It fits perfectly over your implant for an end result that even you might have a hard time telling apart from your natural teeth. And while you may need additional appointments and procedures with your Brooklyn family dentist, any pain you experience can generally be managed with over-the-counter medications. But if your procedures are more involved, your dentist may prescribe additional pain medication. When it comes to permanent replacement of a single tooth, an implant is almost always your best option. It looks and works exactly like all of your other teeth. Caring and maintaining your single tooth implant is as easy as brushing and flossing like normal. All you need is a healthy dental hygiene routine. Implants and crowns are sturdy enough to pass the test of time. And since they never decay, you’ll never have to worry about needing a root canal or cavities filled. Dental implant technology has revolutionized the industry and provided a lasting solution to tooth loss. Talk to the best dentist in Brooklyn about other implant options too, including same-day implants, mini implants, and full-mouth implants. Your Brooklyn cosmetic dentist can also prepare a temporary dental appliance for you until your single tooth implant is set in place. 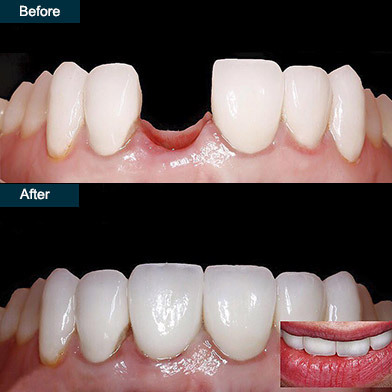 The temporary tooth restores confidence while you’re going through the steps of your treatment. It helps the time to pass a little easier, too. While dental technology continues to improve, you should always know who you’re dealing with. There is no substitute for a dental professional who is certified and skilled. Having the best dentist in Brooklyn working with you eases fear and eliminates guesswork. Do you have any questions about the Single Tooth Implant in Brooklyn? 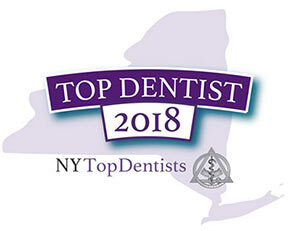 For more information or to schedule an appointment with the best rated implant dentist Khabensky DDS of Family Cosmetic & Implants Dentistry of Brooklyn? Please contact our dental clinic for consultation with the dentists Alex and Igor Khabensky DDS.